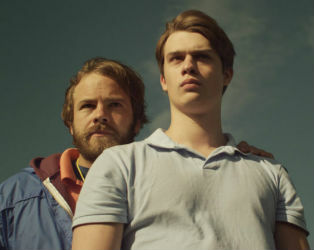 Returning to boarding school after the holidays, Ned (Fionn O’Shea), a bullied but resilient outsider, is dismayed to find he has been assigned a new roommate, Conor (Nicholas Galitzine), a rugby-playing Adonis. When Conor is drafted into the gang of jocks who are Ned’s prime tormentors, the animosity between them deepens until English teacher Mr Sherry (Andrew Scott) insists they work together on a variety show duet. An unlikely friendship develops complicated by sexuality, secrets and the need to find one’s own voice.